Tech site CNET was forced to remove the Dish Hopper with Sling from its “Best of CES” awards due to ongoing litigation between parent company CBS and Dish. The Hopper was going to be awarded “Best in Show” award. As most people know CNET owned by CBS was in charge of giving out the CES (Consumer Electronics Show) awards. 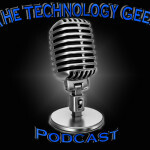 Leo Laporte who was in Vegas giving out the Podcast awards along with attending CES made it a point to talk about this travesty on TWIT and The Tech Guy podcast and was out raged over the lack of journalistic integrity on both CNET and CBS’s part. As more blogs and podcasts are acquisitioned by larger corporations there is a concern that the legal or financial interests of those parent companies might cloud the news coverage of the outlets they own. We have starting seeing this not only with CNET but by AOL buying Engadget and Techcrunch.